10 Your Prayer Meeting Ideas? 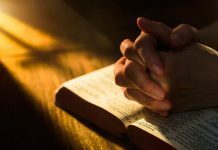 If you are wanting to share a prayer at a meeting or gather, here is a look at some great Christian prayers that will not easily offend others. These are appropriate for all types and levels of gatherings that will be attended by Christians and are the perfect inspirational prayers for meetings. Lord, we are meeting today to conduct matters of business. Guide our hearts and our minds in the spirit of fairness, right thought and speech. Impart your supreme wisdom upon our activities so that our affairs may reach a successful conclusion. Thank you for being our source of guidance today. Amen! 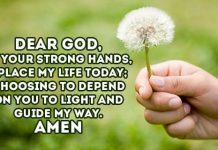 Dear God, we seek your help with our affairs today. Bless this meeting with your divine intelligence, and help us to make the best use of our own. We are of diverse opinion here. Yet we wish to mend our differences and reach agreement satisfactory to all. Please share a little of your wisdom with us to help us do right by all concerned. Thank you for your Heavenly blessing. Amen! O God, we thank You for this privilege of meeting today in Your house. Help us worship You acceptably. Bless Your word to us all. Bless our pastor and people, in the name of Your Son Jesus Christ. Amen.! Loving and Gracious God, you are indeed the giver of all good gifts and we thank you today for all your blessings, for the successful outcomes of our school events and for all our staff members, both the teaching and support members. We ask that you bless them abundantly and we continue to seek your wisdom, guidance, courage and strength. Be with us in our deliberations and help us to be wise in the decisions we make for the good of all those who have placed their trust and confidence in our leadership. Give us insight to lead with integrity that our decisions may reflect what is right and good. Keep us from short-sightedness and pettiness. Help us to make decisions that are for the good of all and guard us from blind self interest. Dear Lord, grant us the humility to always seek your will in all that we do and say. All Glory be to you, loving God, now and always through Christ and the Holy Spirit forever and ever. Amen. Our family gathers today in joyous occasion, thanks to our Lord who looks after us all. Bless this happy meeting and may we all be praised in Your gracious name! Father, thank you that you have brought each of us safely to this place. We gladly surrender our lives to you in worship and praise. And for those away from us we ask for your blessing to be on them. We invite Your beautiful Holy Spirit to move freely amongst us. Come dwell in each of our hearts. Equip us, challenge us, comfort us, teach us. Inspire us as we learn more about your majestic ways. Father, as we meet now may we behold Your beauty and encounter your grace. We ask all this in the wonderful name of Jesus. 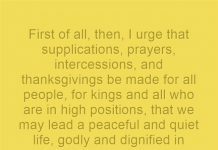 Here is a another example of a prayer at a meeting with added visual slideshow to accompany the peaceful words shared. When you come together with a group of friends, family or church members and you want to pray, it is helpful to have a purpose for your time of prayer. This purpose can be defined by a particular event, person or activity that you are praying for. When you are gathered around with fellow believers to pray you should also have a plan to go along with your purpose. Here are seven prayer meeting ideas that will help you plan your prayer meetings. This is a list of names or events that you are praying for. You may be able to assemble part of the list before the prayer time starts. If you already know specific things you will be praying about, have this list pre-populated. You can do that by giving people a prayer request slip at a previous meeting so that you will have time to create the list to give to those in attendance. Make sure everyone in the group has a prayer list and give them an opportunity to add new requests from the group. One person can write the new requests on a whiteboard or blackboard. Optionally you can distribute pens and pencils with the lists so that people can add the new requests to their own prayer list. If you are praying for a specific person or event, make sure everyone knows the important information to pray for. Allow the Lord to lead in the prayer time, but try to keep the focus on the main purpose for the prayer meeting. Many churches have a prayer meeting in which one or two people pray aloud. Certainly that is fine, but if you broke up into smaller groups of 2 to 4 people at a time, you could have more people calling out to the Lord in a shorter period of time. I’m pretty confident He can understand 10 (or 10,000) people praying at once. Often we are told to pray for the missionaries, but we don’t know what the missionaries need prayer for. 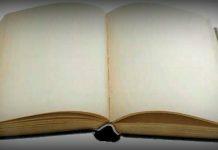 If you are praying for a particular missionary or country it would be helpful to include some pertinent facts and prayer points about the country or missionary family. When praying for a missionary or a group of missionaries, have recent prayer letters available for people to read. Many churches have missionary letters posted around the church. Take time to read the letters and jot down specific prayer requests the missionaries have. This will help you pray more effectively for their needs and requests. There are various agencies which have compiled information about unreached people groups around the world. The one I use most of the time for information is the Joshua Project. They have an unreached people group that they emphasize every day. You can visit their website and read about the group of the day or search for information on a people group you are interested in. Also, you can check out the video at the top of this article for more information on the goal of the Joshua Project. Each time you meet have a plan to pray for someone in leadership. This can be someone in government or a church leader. In one church I attended they had a weekly prayer bulletin in which they highlighted a church staff member, a government official and a government agency to pray for. They would give us the name and position of the person, or in the case of the government agency they would simply give the name. Specifically we were praying for local police, fire and rescue agencies. You can keep a journal for the group of the requests and when the prayers were answered. This can be visually represented in many ways. You can add a pebble to a glass jar each time a prayer is answered. Each request can be written on a separate paper or note card and have them in a file box or stack in a common meeting area. This will allow people to read the request, when you started praying for it and when God answered the prayer. If you are praying through a list of requests you can break the list down into smaller chunks and assign these to different people. This prayer meeting idea will insure that everything on the list gets prayed for during your prayer meeting. You will eliminate the problem of everyone praying for the same three requests and forgetting the other ten. Assigning people to pray also cuts down on the awkward time in many churches where the pastor says “whoever feels led to pray, speak up.” That can create long moments of silence when no one is praying. I know we should all pray during a prayer time, but those moments of silence are awkward and people stop praying silently because they don’t know if it is time to stop, if someone else will start praying, or if they should be the one to start praying aloud. 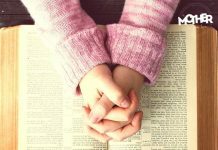 There are many different prayer meeting ideas that can be beneficial to the other readers. What are some of the things you do in your church or prayer group that might be helpful to others? We would love for you to share them in the comments.